The range of materials that are often used in soil amendment is quite wide and includes a variety of materials like peat, lignite, coal, vermiculite, bentonite, zeolite, perlite, gypsum, and limestone. With the most suitable grinding machinery from Strommashina, you will be able to process these materials properly and prepare them for further processing in no time. Soil amendment is a process of soil enhancement that is purposed to alter the conditions for cultivating various plants. One of the most obvious applications is adding powdered limestone or gypsum to reduce the pH factor of the soil by inhibiting Na, HCO3-, and some other radicals in the soil. In order to finely process limestone powder and gypsum and reduce their fineness to 100-200mesh, you need to use effective grinding machinery like ball and roller mills. The technological process is systematic and follows a distinct set of technological stages. MTM and MTW trapezium mills are being fed with preemptively crushed material which is then evenly fed to the grinding chamber via a constantly vibrating feeding platform. 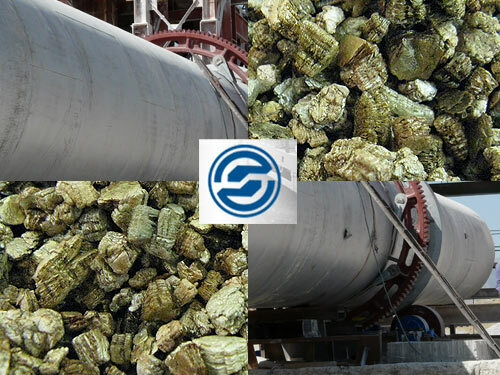 The grinding mills are then processing the limestone and reduce the size of particles to the necessary fineness. You can learn more about these types of mills by contacting our specialists! When your technological goal is to process the limestone to the fineness of 100-200mesh, using ball grinding mills is the best way to reach this goal in an efficient manner. Make sure to properly execute soil amendment by finely processing limestone.